Its been a while since Julian Assange was in the news. The last we heard he was making a nuisance of himself at the Ecuadorian Embassy in London, where his skateboarding and the general neglect of his adorable cat was becoming a problem. 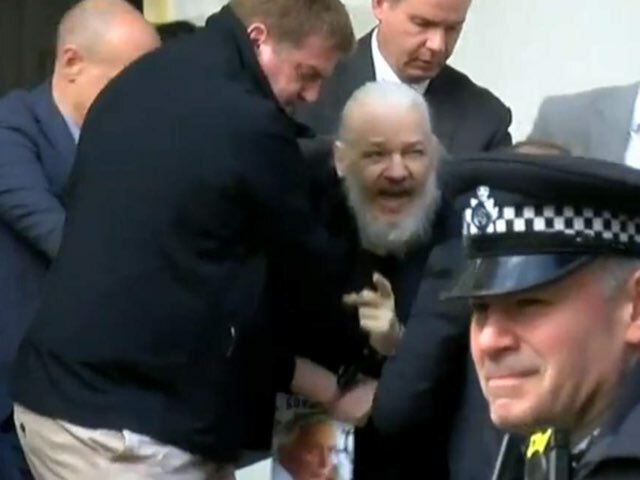 Now, six years, nine months and 24 days after taking up residence in the embassy, Assange was dragged into the street by British police officers. Ah, that explains how they managed to arrest him in the embassy. The battle is now on between the British government who defended the arrest over breaching bail as evidence that “no-one is above the law” and Labour and civil liberties groups who condemn America’s extradition request. Not a good look Assange. Not a good look. For a recap on how Assange ended up in the embassy in the first place, go here.